New for 2016! 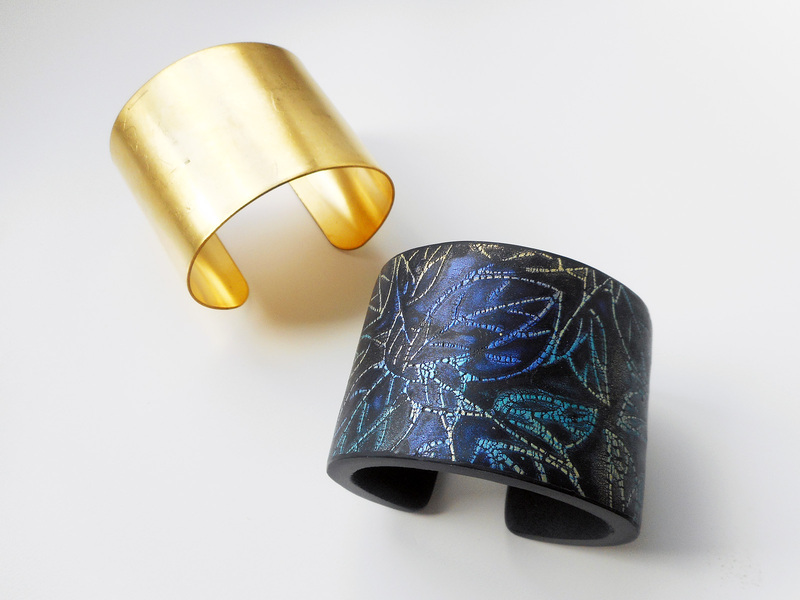 A one-day workshop where you’ll learn a variety of techniques for constructing bangles and cuffs from polymer clay. 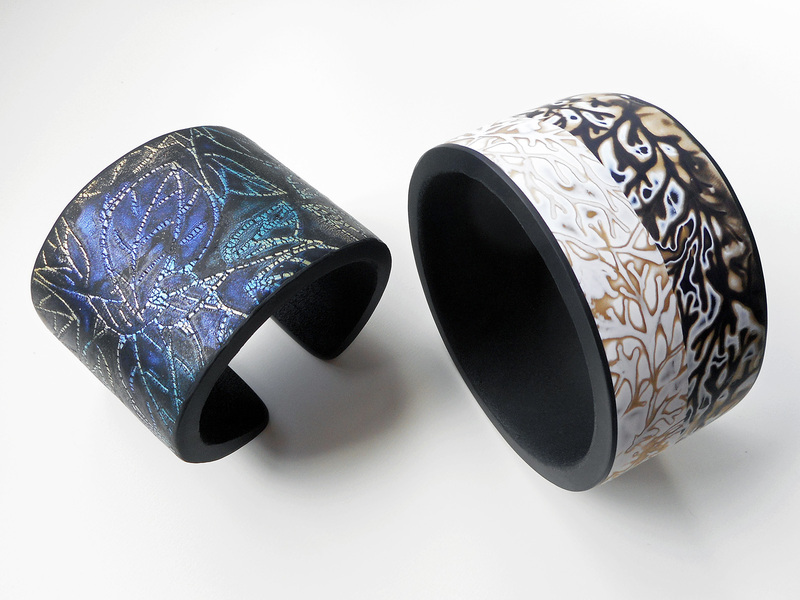 Polymer clay bangles and cuffs are lightweight and comfortable, and can be decorated in endless ways including with patterned or textured veneers, cane slices, dimensional appliqués, carving and sculpting, and embedded objects. 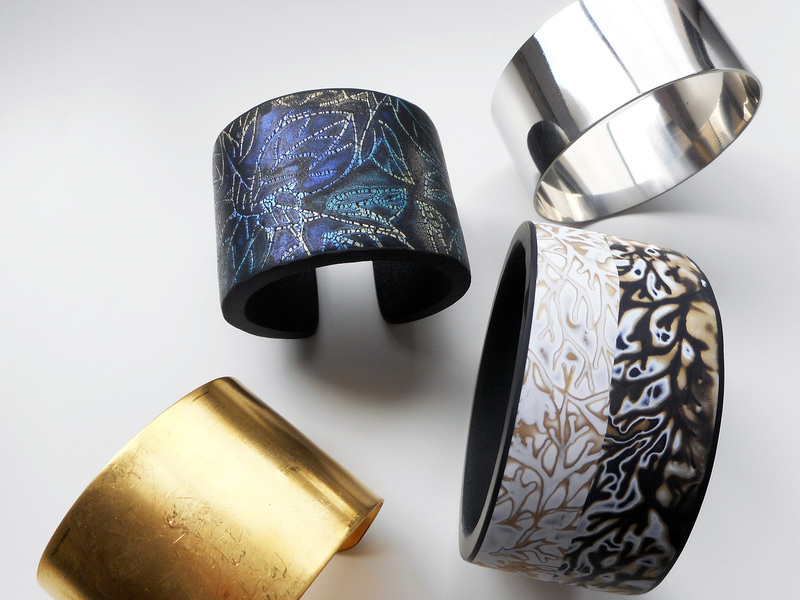 In this class we’ll start by constructing polymer clay bangle and cuff “blanks” on metal forms which will be cured while preparing decorative veneers. The decorative veneers will then be applied to the blanks and cured again, after which the edges and interior can be lined. Completed pieces will be refined with finishing techniques such as sanding and buffing. See below for further details on topics covered. 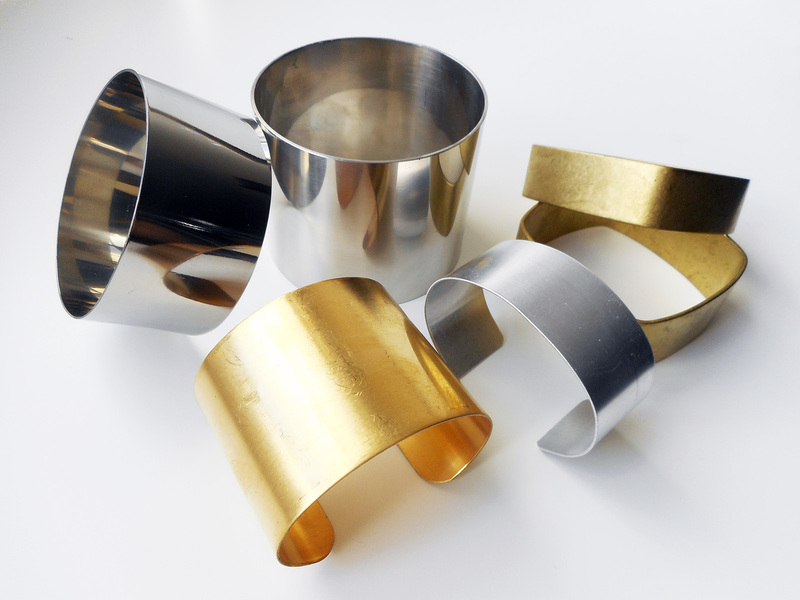 You will make both a bangle blank and a cuff blank, and should be able to finish at least one of these during class time. For decorative inspiration, you might also be interested in some of the other polymer clay classes offered by SJS, including Surface Design Techniques, Imitative Techniques #1 and #2, and Polymer Clay Canes. Discussion of other construction techniques including enclosed armatures and wooden bases. 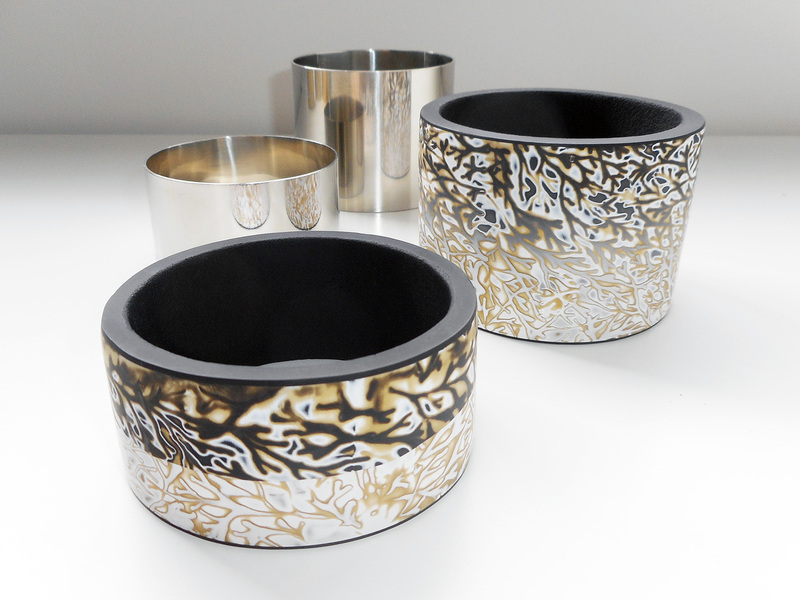 Loan of all tools required for the techniques covered, including cuff and bangle forms in a range of shapes and sizes. Scrap polymer clay, if you have some, equivalent to 2 small blocks and conditioned to a uniform consistency and colour. If you do not have scrap clay the class allocation will be sufficient. A plastic takeaway container to take home any leftover clay.